All are welcome at the 10th annual Cardiff Greek Festival. The two-day affair features delicious Greek food, pastries, Greek folk dance performances, musical performances and cooking demonstrations. There is also beer and wine presentations, not to mention kid games and dancing to live Greek music. This is a must-attend event for blues fans everywhere. Each September, the best Blues performers come to San Diego for a family-friendly concert. Organizers say the mission of the festival is to provide great blues music at an affordable price. The concert is also a fundraiser to battle hunger in the community. Some of the finest craft beers from San Diego County and beyond are expected to be at the fifth annual Carlsbad Brewfest this weekend. More than 60 breweries will be there offering their latest and best tasty suds. Guests will get access to unliminted pours as well as enjoy live music, entertainment, games and culinary creations from Casanova Fish Taco, Red Wagon Pizza and other food vendors. The event goes from noon to 4:30 p.m. Saturday. Tickets are $55 per person. From parades to performances and from carnival rides to craft beer, there is something for everyone. The event spans three weekends. This weekend is the Community Day festival, featuring a parade followed by a market fair that boasts incredible foods, handmade crafts and wares, entertainment and even a robotics competition. Poway Days Community Day festival goes from 10:30 a.m. to 8 p.m. Saturday following the parade, which starts at 9 a.m. The centuries-old Native American tradition continues this weekend that the Sycuan Indian Reservation. The celebration includes game, singing and dancing contests with multiple age division groups. The powwow is a traditional celebration of friendship. 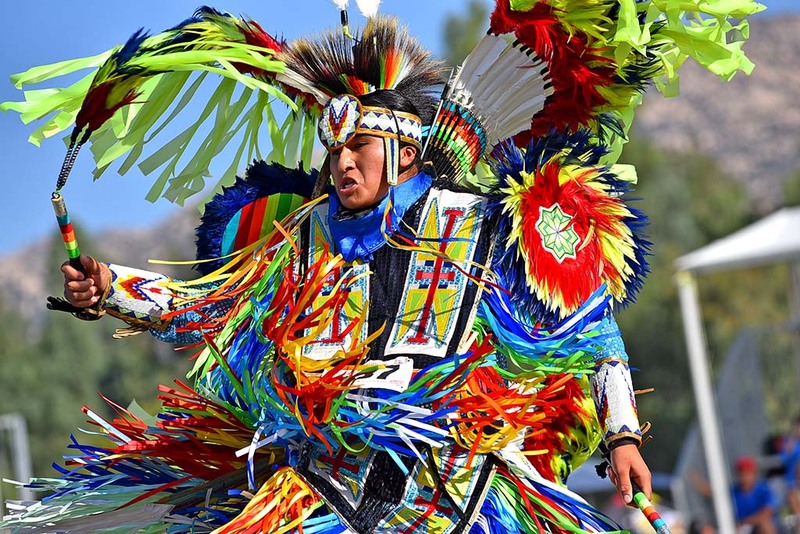 The Sycuan Pow-Wow goes from 5 p.m. to 10 p.m. Friday and 10 a.m. to 10 p.m. to 5 p.m. Sunday. Admission is free. The event, held at Chula Vista Bayside Park, is filled with live entertainment on both stages. There will also masterpieces from local artists on display at Art in the Park area. There is also a children’s area featuring bungee jumping, inflatables and other fun activities. The South Bay Pride and Music Festival goes from noon to 7 p.m. Saturday. Admission is free with a suggested donation to the South Bay Alliance Association.